It's crazy to think, little over a year ago I went to see Wolf Alice play to no more than 30 people. Sky rocketing their success over such a short period the band have propelled themselves to the forefront of new music and seen a phenomenal year turn even greater through signing to one of our favourite labels, Dirty Hit Records (Marika Hackman, The 1975). Knocking up over 200,000 views on their videos Bros and Blush goes to show even further how their hard work and success as a band has paid off. Here they return with another clip from their recent Toe Rag Studios session. Following on from Storms, which we posted at the start of July, the band strip back the ever reflective We're Not The Same down to its brittle bones. 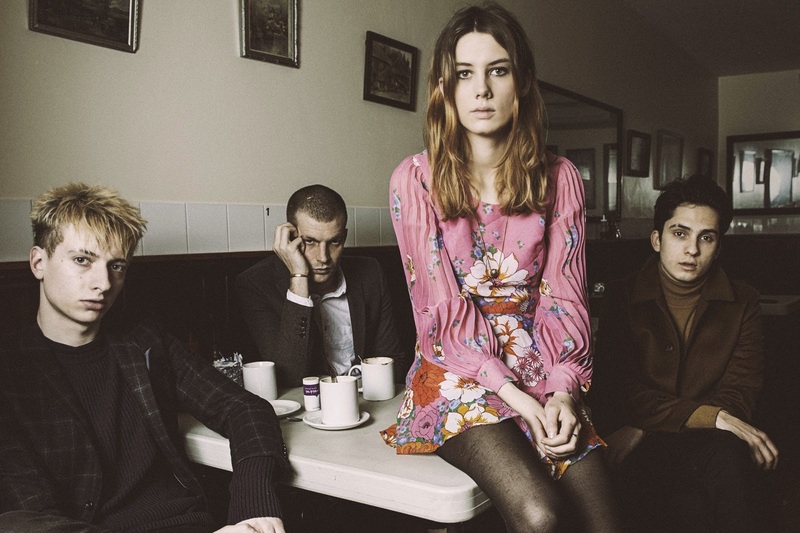 A soft mournful ballad that quickly turns in to a brash hurricane of noise showcasing Wolf Alice in their rawest form. Bliss. Take a watch above. We're Not The Same is taken from the 'Creature Songs' EP, out now via Dirty Hit Records.